Concealed door closers are an aesthetically pleasing mechanism for closing fire doors within commercial and residential buildings. If vandalism of mounted door closers is an issue in commercial spaces, then concealed door closers are the recommended solution, since the mechanism is only viewable within the leaf between the door and door frame, and less visible to vandals. 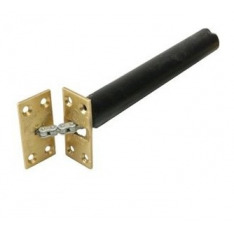 At Ironmongery Experts we stock a wide range of concealed door closers, from traditional concealed chain door closers to more advanced Powermatic concealed hydraulic door closers. Our range of Powermatic concealed hydraulic door closers can be used with electronically powered hold-open devices, include adjustable closing speeds and power latching actions. If you require more information on our range of concealed door closers, please don’t hesitate to call our knowledgeable team who will happily answer any questions you may have.